Part 1 of this LinkedIn series talked about the different properties to get your content seen on LinkedIn in order to get a branding edge. Part 2 discussed more specific tools and possibilities for marketers to take advantage of at LinkedIn in order to brand themselves, and through that, their company. In this part, we’ll discover how a brand can ensure that its content gets seen by its audience. Let’s first look at how to maximize your content. How can you write the best content you can write? Dan Roth, the executive editor at LinkedIn, offers a 3-step approach. “Use stories well. People actually remember stories,” he says. The key to getting your stories read and gaining and retaining followers is by having interesting stories to tell while using a unique voice. These stories should be authentic and real; written by a person, not a corporate entity. These techniques will make you stand out in a large pool of writers. Use anecdotes that have actually happened to you. When you write, use a story as the guiding light throughout the post. Always have a story that readers will walk away with. Don’t just create one-click content, but content that drives people deeper and deeper into your and related writing and encourages discussions. The more engaged people are on your platform, the longer they will stay, the more likely they are to return, and to share or to recommend your writing. Link outs also help you foster an active network and you will probably receive link backs over time. This, in turn, will help your SEO for even more people to find you through search engines. Don’t be afraid of people leaving your writing because they click on an outgoing link away from your content. Yes, there will be people that won’t return. But if you made an impression on them, and you keep showing up in their newsfeed, they’ll return anyway, maybe on a different occasion. Other writers are not your threat. Bad, boring and inapplicable writing is the only threat you face. And general marketing and sales principles apply here just the same: You need to get approximately 6 impressions before people will start to remember you. Now that you’ve made your content the best, most sharable and most engaging it can be, you’re ready to put it out there. So what are the best steps to get your content seen? If you write content that might be applicable at all to the professional community, share on LinkedIn. 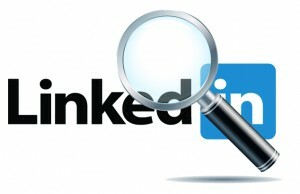 LinkedIn members tend to be very active and interested and, therefore, make a great audience. They are actually interested in what you have to say and will not just click on a link, but actually read the content and possibly share it. In order for your content to be seen by as many people in your niche as possible, join as many applicable groups as you can and share your content through them. Make sure you don’t just post, but also comment on other people’s posts and links to show you’re there and attentive. Gone are the times of you creating great content and that would drive people to your site. There are too many sites out there with great content about any particular niche. Unless you put yourself out there on a consistent basis, people won’t see you. You need to create a way for organic traffic to occur through all the channels you have available. Again, LinkedIn is a great platform for this. LinkedIn is a great platform to distribute content and get it read – however, if your readers are not on LinkedIn, it won’t do you any good spending your time distributing content through LinkedIn. Do some research: Who is your audience and where are they online? Then go where they are. If you’re talking to moms, they will probably not be on LinkedIn, unless you’re talking to professional women who are also mothers. If your audience are teens or college kids, LinkedIn might not be the best outlet to be. Know your audience, know where they get their news from, know what they do for fun. And then be there and focus your time on those outlets. Don’t underestimate the power of employees. They will usually be your fiercest advocates. Empower them, so they will love their brand and their company. Make sure they’re sharing content and engage with it because they’re proud of what they get to share. By recruiting your employees to share, you expanded your network to their own networks. Depending on how many employees you have, this will increase your reach exponentially. Start implementing these steps and watch your audience grow. Next time, we will discuss the importance and weight of original content versus curated content, and how to curate right and use it in your favor. Until then, share with us where you share your content and what your successes have been.